This is one of those long stories that start 7 years ago with someone not finishing there project, selling to the Eastern states then some one over here seeing it for sale again buys it back only to go thru personal issues and not do the project and again 4 years later put it up for sale. I pick it up take it to the workshop for a look, and it was bought by…….Hugh!!! 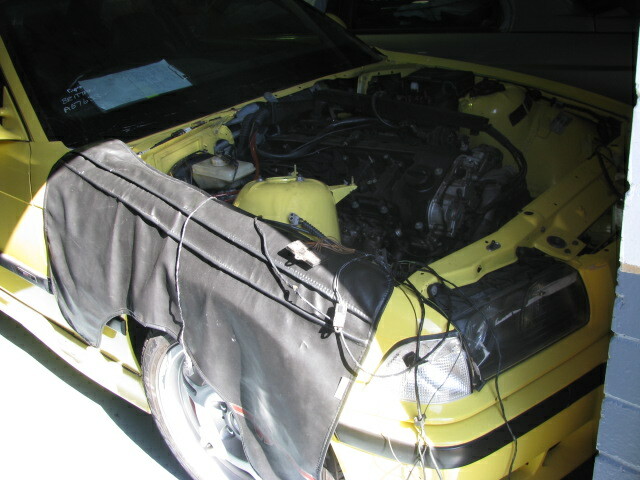 This lovely Dakar Yellow e36m3 will have to wait a little while so we can clear the decks of prior projects, but has had all the parts ready to assemble with it for over 5 years, the extractors were missing along with oil cooler and lines, air cond’ condenser, etc but those are all standard parts. 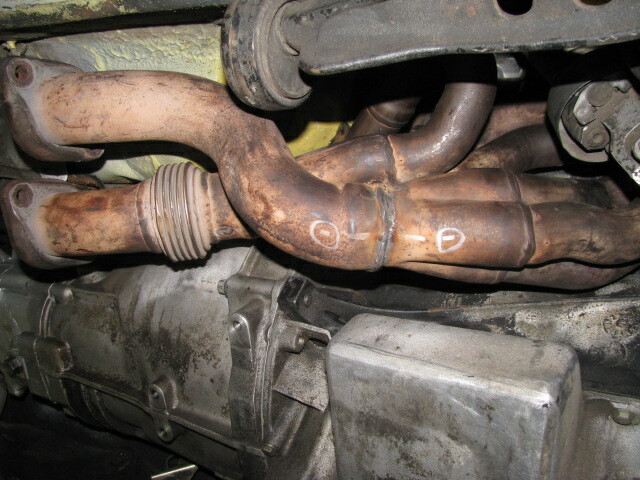 Hugh even had the extractors at home from when he owned BM-Auto Engineering! 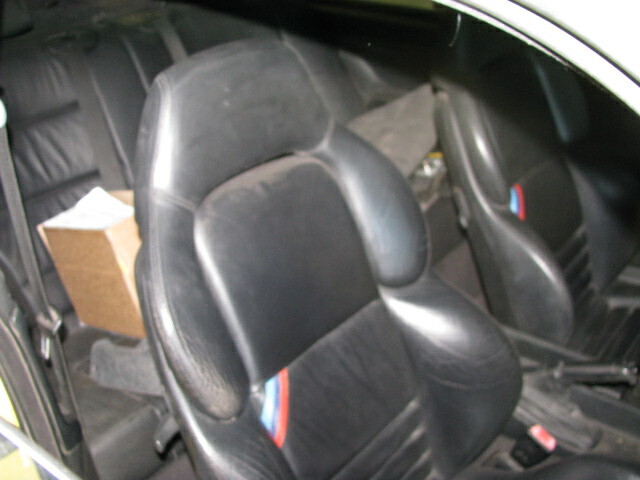 New brakes all round, nice original “M” wheels, great condition black leather interior, fantastic paint condition too! We just need to find some missing original parts, overflow water bottle, oil cooler and piping, do a custom exhaust system, refit all mechanical parts, then hopefully start the engine!! 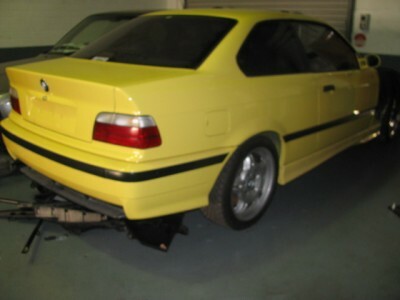 Update 11/2013 – The m3 is with the exhaust shop for the custom stainless exhaust system with factory ceramic cat’s, just before this the steering column was found not to be connected properly and about to fall off, now fixed we can move onto other reconstructions! 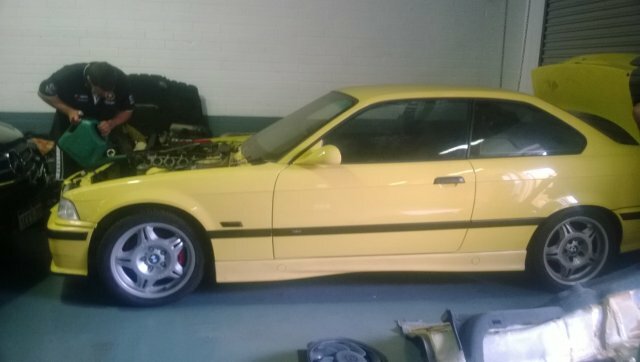 Update 1/2014- The M3 is back from the Exhaust shop looking fabulous! Jeff and Dale do magic work (pictures to follow), now the real fun begins with putting this jigsaw back together! flushing the water system through due to sitting still for so long and checking all the parts like electronic sensors etc. 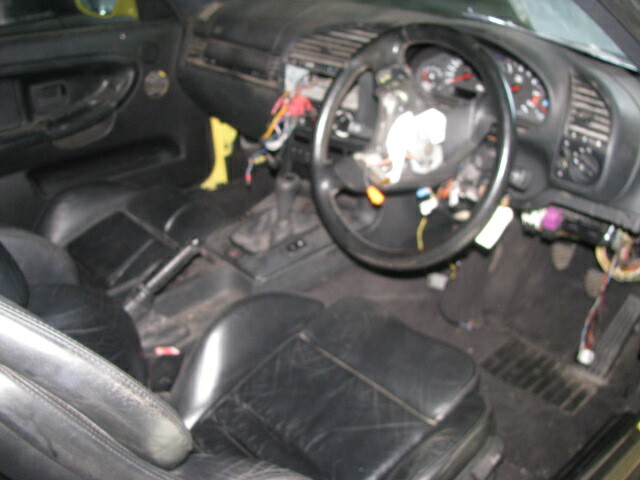 the wiring to vanos is shredded as is the cam sensors. Update 2/2014 – OK …..a twist of fate has this project traded on a complete car!…same colour, same model, same same! but the new exhaust and other bits swapped into the going car!